For many, coffee is the first thing that people think about when they want to refresh and energise themselves; taking that first smooth, delicious sip and awakening the senses. For many others, it can be an invigorating skincare routine that refreshes and revitalises the body. Here at Farryn Amber, we love both! So when we were approached by Square Mile to create a limited edition, exclusive collaborative product we couldn’t think of a better way to merge these two energising routines together… It had to be a Coffee Scrub! Our journey for this collaborative product began by first planning out what we wanted to achieve. We thought about the three key features that we wanted for the end result of this product: exfoliation, hydration and freshness. This was accomplished by sourcing the most effective natural ingredients that we could find to formulate the best recipe. Selecting ingredients that are good for exfoliating the skin as well as hydrating and locking in moisture and incorporating a waste management scheme by blending excess coffee that wouldn’t otherwise be used, into the scrub. This had to be virgin coffee as opposed to spent coffee grounds in order to keep the product fresh and clean for your skin. Blending pre-used coffee grounds can produce a mould and be microbiologically unsafe. Once we locked in our ingredients, we began to formulate! Sampling and testing was the initial step to finding the perfect recipe. We blended the highest quality ingredients and harnessed the most effective properties from each. Firstly we add coffee that is roasted by Square Mile Coffee Roasters for its exfoliation and collagen boosting properties, we then mix in Dead Sea salts, which contains over 21 minerals that offer major skin benefits. Kaolin clay is then blended in for its skin detoxification properties, coconut oil and sweet almond oils are added for their super absorbing moisturising properties. Lastly, lemon and rosemary essential oils are blended for that fresh fragrance and for their cleansing, toning and antibacterial properties. The final formulation of the Farryn Amber x Square Mile Coffee Roasters Coffee Scrub is free from all synthetics, animal testing, parabens, pthalates, petroleum, mineral oils and chemicals. Suitable for all skin types and perfect for that energising skin boost! Farryn Watts is the founder of Farryn Amber. 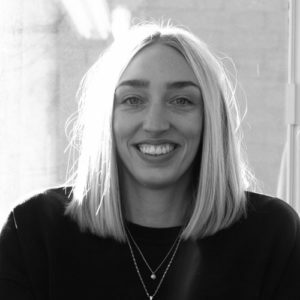 Originally from Gold Coast, Australia, Farryn moved to London in 2015 where she now works part-time for Prufrock Training & Consulting and the rest of her time formulating and managing her skincare and lifestyle brand.